I was driving to work the other morning, it was super foggy out. I was going over the bridge and realized i couldn't see anything. It was actually kind of scary. I quickly started driving slower then got to thinking about how the fog was throwing off my perception. When I got home I looked up an article about how fog effects our perception while driving. There was an experiment done in Germany to compare the driving behavior in fog versus not in fog. It was found that when there was fog surrounding the car- in all windows the drivers slowed down. When the for was in a distance the speed of driving was above average. This was due to the changing visual perception. It depended on what part of vision was impaired due to the fog. If it was in our peripherals we slow down. When the fog is in a distance, in our center line of vision we tend to speed up towards it. I thought that this concept was interesting. Elements of Thought: Question at issue- "How does fog effect our visual perception? Information: Based on the data in Germany it depends on where the fog is to interpret how it effects our visual perception. The McGurk effect is a phenomenon in which an illusion that conflicts what you are receiving from your senses. In the video below, the actor is constantly saying "Baa", however when his mouth changes to show an "F" sound, we hear "Faa". If you look away from the video, and strictly listen, then you realize that the sound "Baa" is actually being made, regardless of you hearing "Faa" when watching the actors lips. This illusion is interesting because it makes me realize how in-depth our senses work together to process information. It also makes me more informed of how Deaf or Hard of Hearing people are able to read lips as a method of communication, and how important utilizing all of your working senses truly is. The McGurk effect that was discussed in class was interesting because it highlighted how important visual stimuli is in auditory processing. My mother who is very slowly losing her hearing in her left ear depends on us to either speak very loudly or to speak to her face so that she can see our mouths moving because it helps her understand what we are saying easier. 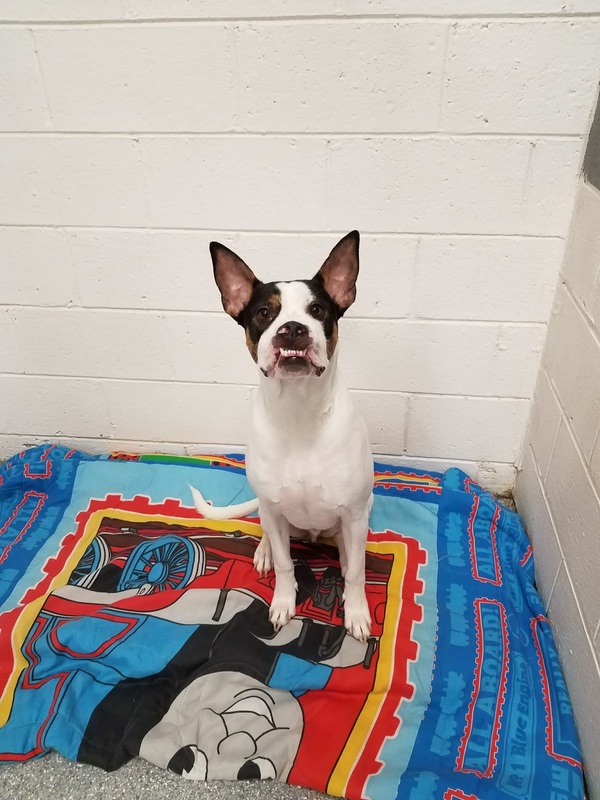 This is Thor. A dog that stayed for a week at a boarding kennel that I work at. He touched my heart as soon as I laid eyes on him. He would come up for scratches with his little puppy dog eyes, but what was interesting, like most dogs, when you scratched between his shoulder blades he would shake on of his back legs. Dogs shake their back legs due to a reflex that the touch receptor in that area put off. When a prolonged signal is being sent from that area the signal is sent from there to the signal cord for processing and back through the central dorsal horn to send a motor signal telling the leg to shake. Reflexes are processed in the spinal cord. 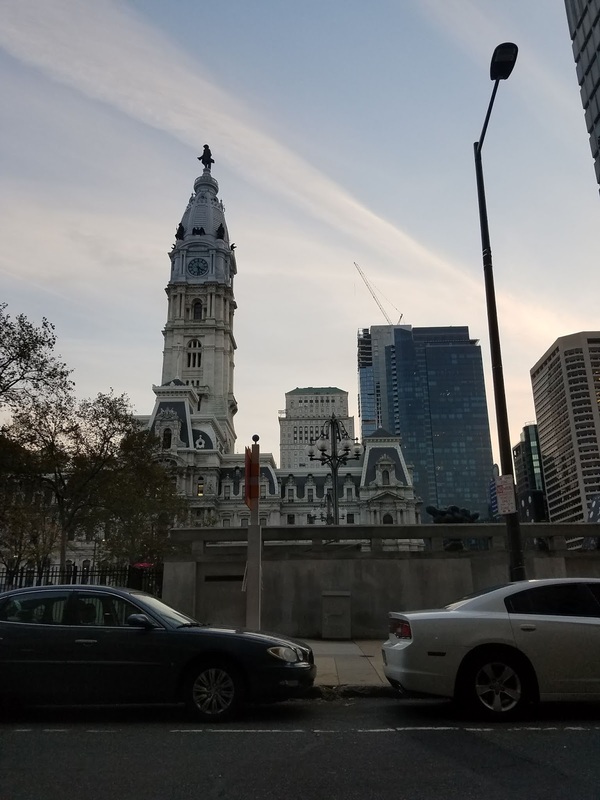 During the trip to philly that my group and I took, I saw this gorgeous building that I just had to take a picture of. After further evaluation of this photo I noticed a lot of different things about this scene that I would not have realised without this course. Due to relative size the lamppost and the building look to be the same size but my awareness of the situation tells me that the building is indeed larger. Due to the power of occlusion I am aware that the wall is behind the lamppost and that there is one square building almost directly in front of another square building. For our final project we were assigned touch so we designed a box and had individuals put their hands inside and try to guess what they were feeling. Every person reacted differently which was awesome to see each rely only on their sense of feeling. Perception of touch is so important to everyday living that we sometimes forget how significant it actually is. Each of the items that we had stationed in the box had its own unique feeling to it. Many of the participants had issues identifying what many of the items were which was interesting to watch. Overall it was a great final project and I learned that perception is one of the key senses a human being has and I did not fully understand how important it actually was. Being a case manager a recovery house, my case load consists of guys with varying personalities. During interactions with these residents, sometimes emotions take hold of the conversation and things become difficult to accomplish. Subconsciously, one of us experiences transference and/or counter-transference. Transference is when my words or actions are causing the resident I'm working with to react emotionally based on past experiences. Counter-transference is when the residents are bringing up emotions in me based on past experiences. How I perceive guys on my caseload can affect how I view their recovery. While each guys is at a different stage of change at any given point, I have been working hard in supervision to identify these feelings and take a normal neutral work at the logistics of their program. We're humans and emotions are natural. For me, being able to identify how I am perceiving someone and the reasons behind it help me to change my perception. I'm still in the first year of working here and I know my awareness will increase. It is very interesting to me to see how peoples perception of their recovery changes, just as mine had a couple years ago. 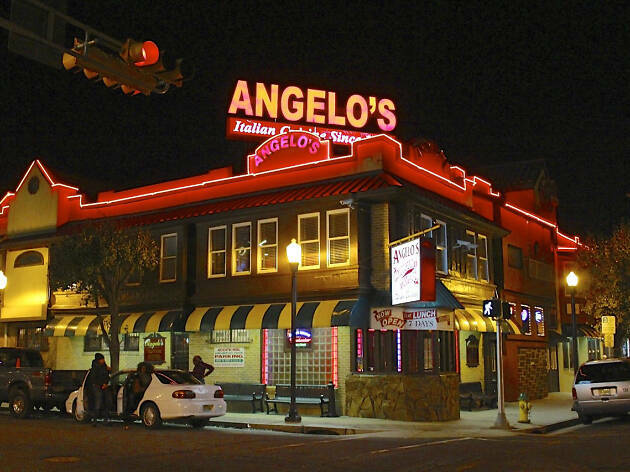 The other night I went out to eat for my friends birthday with a large group of people; we went to Angelos in Atlantic City. When we walked in, we initially had 2 more people than the reservation was set for so we were slated to wait an additional hour for a table to open up. That seemed ridiculous to me, but 2 people from the group decided to go to eat elsewhere since they were already tired, so we got to our table only 20 minutes later than anticipated. Once we were seated, the bread was really good with my concoction of oil, salt, pepper, red pepper flake and parm. After our orders were placed, it took about 25 minutes for the apps to come out, and an additional 40 minutes for the entrees to come out. Thank goodness the meal was amazing because I was really getting anxious sitting for so long without food. When I go out to eat I create this expectation of when I will be eating by and waiting longer than that expected time makes me uneasy. For dinner I got the veal chop. INCREDIBLE. With mushrooms, roasted red peppers and a marsala sauce. The one thing I really didn't like was instead of asking if we wanted dessert we were just brought a check. Bad customer service if you ask me. I would have gotten a coffee because I enjoy that after a meal. The energy in the restaurant was very positive. The sounds of the other tables talking and laughing and having a good time was definitely infectious. The smells of all the food was delightful and the taste was even better. Overall the food outweighed the negatives of waiting and an early check. 7/10 would go back. Over the summer I went out to Denver, Colorado to see my brother and his family. I spent a few days seeing different sites around the city, and even ventured out to some hiking sites, most notably Rocky Mountain National in Estes Park. The sights were truly breathtaking (seriously it was tough to breathe out there because of the altitude). Boulder was a cool town to see; many college students walking the streets and a strip with a ton of shops was fun. The coolest part of the trip was a concert at The Red Rocks seeing Blues Traveler. I went in knowing one of their songs, "Run Around" which is probably their most famous. What I experienced was a jam band who broke just to play that one song, then went back to jamming. The sights were amazing. We were able to see the skyline behind the stage, fireworks from different cities lit up the sky. All of my senses were lit up, as it seemed everyone around me was lit up. It was one of the coolest experiences in my life and I would recommend anyone who hasn't been to the Red Rocks to go. My last post will be about odor. I have experience many time when I can smell something but can not connect it to a center object. According to “sciencemag” people can detect a trillion smells however it can get complicated to distinguish from each other. 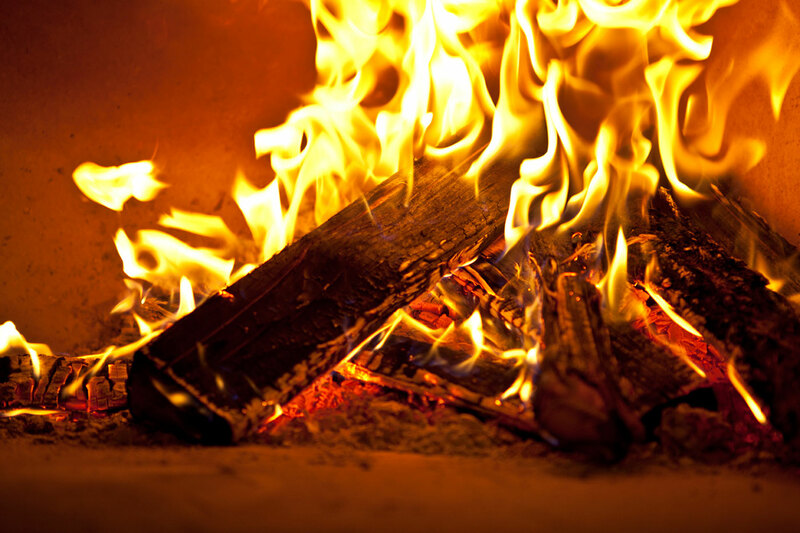 The three smells that a person is easy to detect from each other is a rose, fresh cup of coffee and a wood fire. While typing this I was able to recall the odor of each three of them. The information given in the article is very similar to what chapter 15 says about odor. This site also states that people could tell the difference between odors according to four different qualities fragrant, acidic, caprylic and burnt, along with a nine scale. That gives us 6,561 distinguishable smell, which was later rounded up to 10,0000. The information given on this site connects with what we spoke in class regarding different odors. As we mentioned in class we make connections from what we know to figure what something smells like. During a class experiment, a few french researchers colored a white wine red with odorless dye and asked wine experts to describe the taste of it. They ended up saying it tastes like any normal red wine rather than the white wine suggesting that the color did in fact make a difference. Sight influences perception completely. Food and drinks are identified by their sense of smell and sight not taste. To our brains, taste is the combination of a food's taste, smell and touch into one. This combination takes place because of chewing or sipping comes from the mouth. Flavor is also another term to describe the taste meaning smell doesn't simply influence all of it. Taste sensations include sweet, sour, bitter, savory, and fat. When these things are placed in our mouths, the taste cells are activated and we perceive a type of flavor. It activates sensory cells located side by side with taste sells that tell us how the temperature, spiciness, or creaminess results in. On my phone, I have the app “Happy Color” which is an app that has multiple coloring pages that have you color by number to create an image. This first picture shows one of the first ones I colored on the app. 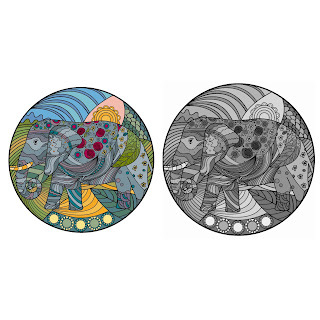 Because I am fully able to percieve color, I can see the Elephant that is colored in the middle of the image. I copied the image and put it in black and white to reprent what the image would look like as a Monochromat. Monochromats are truy colorbling for have no functioning cones so they only percieve white, gray and black tones and no color. 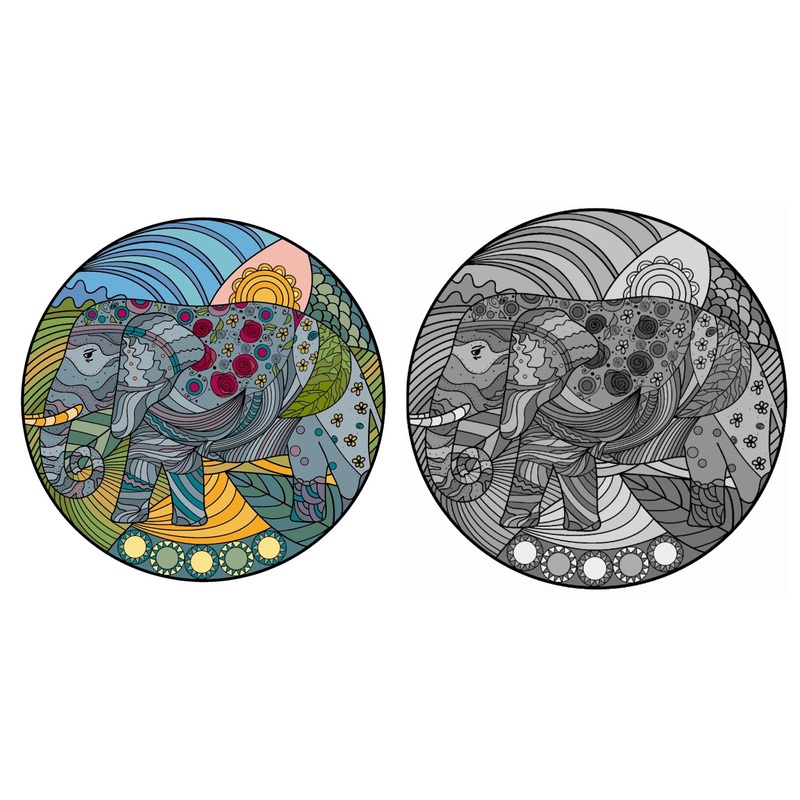 In the second image, it is a lot harder to pick out that the image created an elephant due to the elephant and background not being clearly distinguished. This video, real but a meme, is a small clip from of song by Kirin J. Callinan. 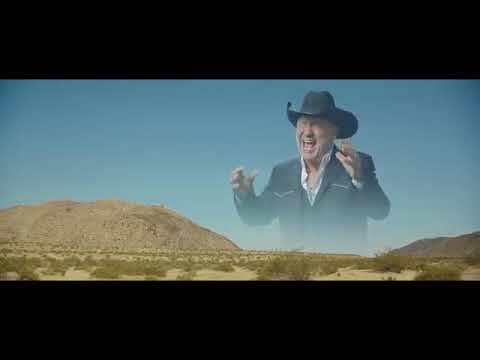 In the video, the man pictured seems larger than his environment, the mountains, sky, etc. However, based on the placement of the mountains which are placed normally in the image and the man who is singing is placed in the sky with only his upper half showing. The man looks larger than the background he was placed behind as if he is a floating omnipotent figure. This creates a forced perspective of the man who is, in reality, normally sized and standing in front of a green screen. Enjoy the video!! Perception is essentially the psychics superpower. Using perception psychics can manipulate a thought and make it a reality. Just like in the video in class with the fake hand and how the mind thought it was attached to the person. A psychic can do that with thoughts and ideas by adopting them into your mind and making them a reality. Some examples are: A key is just an odd shaped piece of metal unless you know it can be used to open a lock, or fruit becomes food when you realize its edible. Many layers of reality are deep and hidden and psychics tap into that to get you to believe their reality that they see for you. At least one in twenty people in the general population may be affected by SPD. Gifted children (savant) or children with ADHD, Autism, or fragile x syndrome are at a much higher risk. 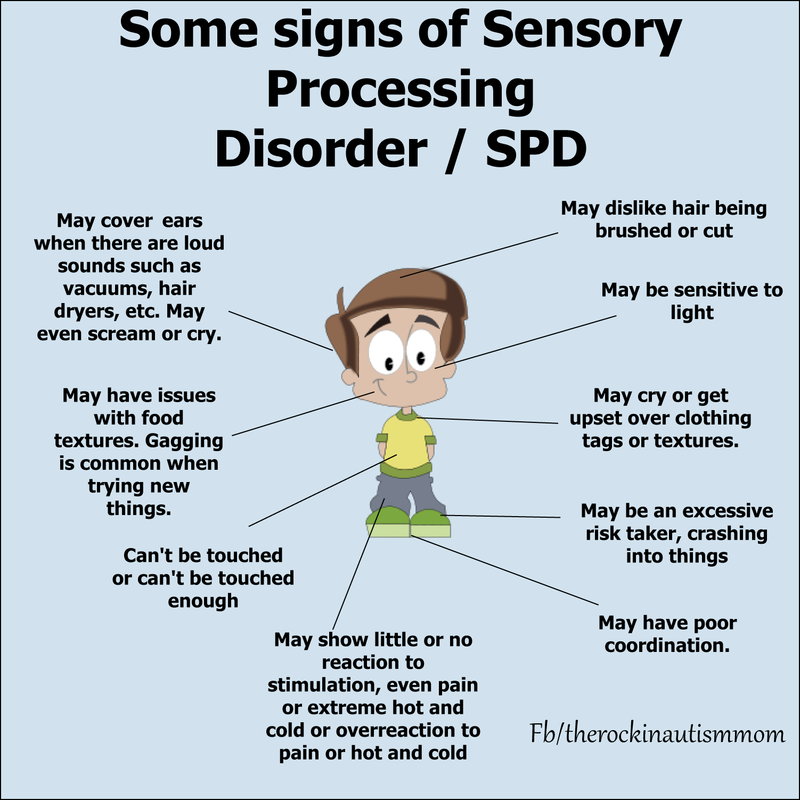 Sensory Processing Disorder has strange symptoms that do not really relate to any other disorders or can be explained. Through research heredity may be a possible cause. All that researchers know so far is that the sympathetic and parasympathetic nervous systems are not functioning normally. This is important because these symptoms affect important functions that occur in the human body such as with the parasympathetic it controls urination, sexual arousal, and rest, and feeding. Post #1: Hyposensitive children seek out the need for more attention because their mind does not detect enough sensory stimulation. This can cause children to enjoy tight bear hugs, crave fast or intense movement, and even have a high tolerance for pain. This is seen when children fall and do not notice they have an injury. This relates to the class because in a normal person with normal sensory capabilities they would not seek out extra sensory attention because they would just be perceived as uncomfortable to that person. Taste, which is defined as the sensation of flavor perceived within the mouth, is such a broad topic. It is one of our main senses- besides the others, such as: vision and hearing. We all have the ability to taste all different types of food and drinks of various flavors- such as: sweet, sour, salty, or bitter. All of those forms of taste are completed on different parts of the tongue. For an example: When you and some other people go to a new restaurant, you tend to judge even more carefully how the food and drinks are presented, cooked, and taste overall. After you're done your meal, you then truthfully profess your ratings and specific reviews on the restaurant. Was it good? Bad? Maybe just ok? As we have seen some examples of optical illusions in class, I decided to write more about them and find one for you all to see. 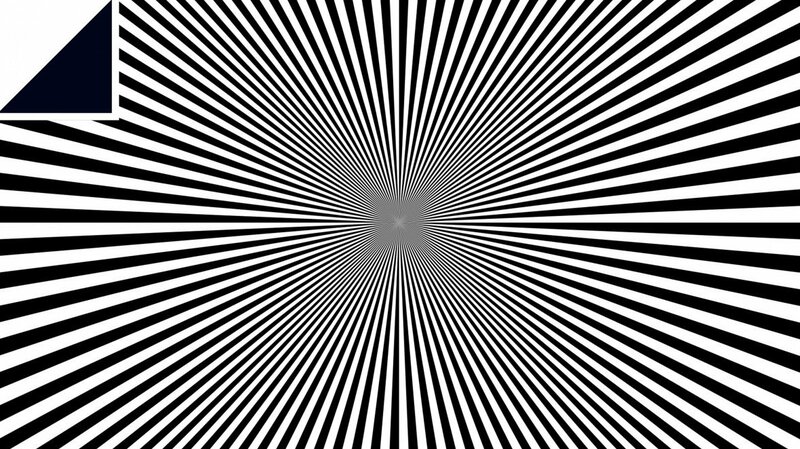 An optical illusion uses color and light patterns to create images that can be deceptive and misleading to our brain. 1. Literal optical illusion: illusions that create images different from the objects that make them. An example would be this picture... can you see the face? 2. 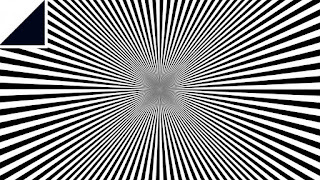 Physiological Illusion: To sum it up, the theory is that each stimuli has an individualized neural path in the early stages of visual processing. The repeated stimulation is what causes the vision in balance. 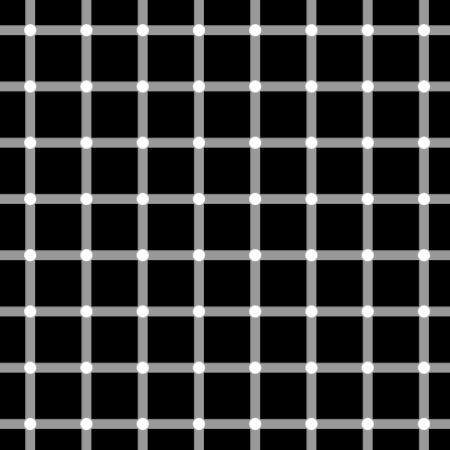 An example would be this picture.. how many black dots do you see? 3. Cognitive illusion: They are commonly divided into ambiguous illusions, distorting illusions, paradox illusions, or fiction illusions. 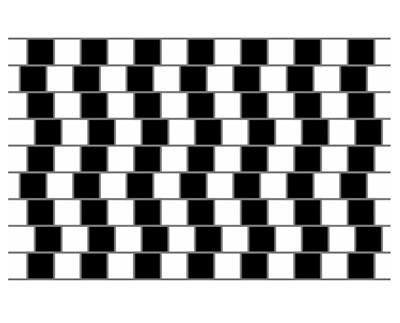 An example of a cognitive distorting illusion would be this picture..are the lines bent? I read an article about visual stress. Visual Stress relates to horizontal patterns are shown at a relatively fast rate, they can cause seizures and in extreme cases vomiting of blood. Visual stress can also be known as “pattern induced epilepsy” but it is also seen in less extreme cases in individuals as well. The pictures about show horizontal text arranged in rows and what it can look like for a person dealing with visual stress. Visual stress can also be made worse depending on the font used for the text. 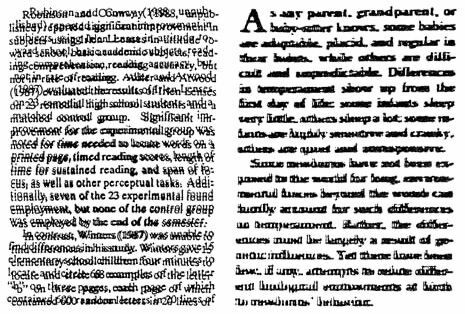 As seen in the images, visual stress can distort the text to the point it becomes unreadable and can be exhausting for the individual to try to read. 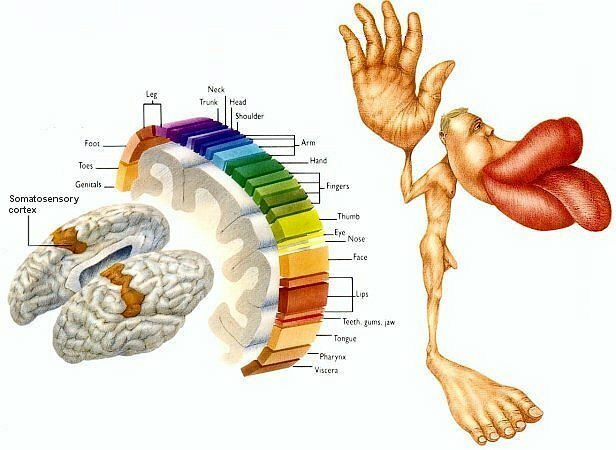 According to this article, the brain pays wildly disproportionate attention to touch on different parts of the body. This is also something we talked about in class and even came up with the body parts that we thought were the most sensitive to touch. What I do remember learning in class is: just because something is more sensitive to pain, does not mean it is more sensitive to touch. For example, pain to the genitalia area can be caused by something minor but the pain can be horrible. But, this does not mean the area is sensitive to touch. Certain parts of the body have lots of fine touch receptors (face, lips tongue, fingers) and other areas that do not have as many receptors (chest, thighs, back). The receptors come in four varieties: sensing vibration, one for tiny amounts of slippage, one for stretching the skin, and one that senses textures. The last is called Merkel ending, and it is only in the parts of the body one can use to feel something really finely. 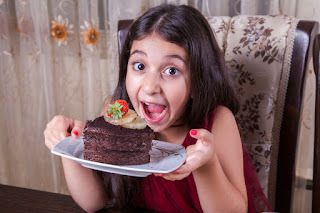 Apparently, eating sweet foods helps form a memory of a meal. In a new study in the journal Hippocampus, researchers believe it can also help control eating behavior. Neurons in the dorsal hippocampus are activated when one eats sweets. Episodic memory is the kind that helps one recall what they experienced at a particular time or place. They believe that episodic memory can be used to control eating behavior. For example, one may say "I won't eat now. I had a big breakfast." They would make that decision based on the memory of what they ate and when. In class we learned that taste is connected with the neurons throughout our brains, so I am not surprised that by eating certain foods certain things like memories can be triggered. I see online all the time things about "super foods" that help brain power and things like that. This article is just one of the many saying that eating a certain food will help with actions of the brain. Fine by me though, I just now have an excuse to eat more sweets since it helps with my memory. According to an article, humans can smell fear and it is contagious. The findings were published in the journal Psychological Science suggest that humans can communicate via smell just like other animals. In an experiment, sweat from under the armpits of 10 men while they watched either frightening scenes from a horror movie (The Shining) or repulsive clips from the television show "Jackass" was collected. Next, researchers asked 36 women to take a visual test while they unknowingly inhaled the men's sweat. When they smelt the "fear sweat," they opened their eyes in a scared expression. When they smelt the "disgusted sweat," they scrunched their faces in a repulsed grimace. These findings suggest that humans can communicate some emotion by smell. Personally, my sense of smell is my best sense. I have hearing issues and my eye sight is average, but my family jokes that I can smell something from a mile away. When I was little I could smell if my sister went in her diaper from across the house. I am very interested in the idea that scent can express emotion. That changes the way I feel a lot of things. I think this explains why sometimes I smell things they make me feel a certain way, such as when I smell cookies I am happy and think of Christmas. It is a weird explanation but I would like to explore more into the idea. After learning about our sense of smell, I came across an article discussing the myths about the strength of our smell. It is commonly believed that humans do not have great senses of smell compared to our other senses and compared to the strong senses of smells by other mammals. However, John McGann, a psychology professor at Rutgers University, says that this is actually not true. He says that humans have just about the same number of neurons in their olfactory bulbs as mice, capybaras and star-nosed moles, meaning our sense of smell is not much worse. Some studies and experiments suggest that we may not be proficient in all smells or as many as other mammals, but we are certainly proficient in perceiving certain smells. For instance, smells associated with food are very easy for us to perceive. We are also better than mice at detecting a smelly compound found in human blood. Humans even have the ability to detect people's feelings by odor, which may influence their own feelings. For example, people who sense someone else's anxious odor may themselves become stressed. It is actually amazing what our sense of smell can accomplish, especially in combination with our other senses. No, this isn't edited or photoshop... it's makeup! This woman was able to create the illusion that her face was transversely cut all by using makeup. This illusion works because of the shadows and highlights. Shadows and highlights can provide information about an objects dimension and depth. Interposition, or overlapping, and shadows make it appear as if each portion of the face is floating on top of another. In addition, the shadow creates depth in the back portion of each "slice" and the highlights bring out the front of each "slice". Optical Illusions are notorious for tricking the mind into thinking it is seeing things that are not there. Messing with one's perspective can change their perception of an object. Sometimes illusions are successful because of shortcomings in the eyes, but the brain is usually the most guilty for causing one to be fooled. There is no definite reason as to why our brains get confused, but there are some theories on the process. I have personally always liked optical illusions because sometimes people do not always see the same things as I do or someone else. Scientists believe that neurons can actually compete with one another to see light and dark spots, therefore the winning neuron influences the message the brain gets and what one ends up perceiving. Another theory is that illusions fool because they capitalize on the brain trying to make predictions of what will happen next in order to compensate for the small lag time between the event happening and then being able to perceive it. Sometimes the prediction does not match the reality the illusion shows. The sense of taste is more then just what we enjoy and what we do not enjoy. Throughout evolution, people were able to determine if a food was safe to eat based on taste. Foods that were bitter or sour were are not tasteful, and people knew to not eat it. Taste buds tell the brain whether or not the food in your mouth is safe to eat. While we have come to know what foods are safe, our taste buds still perceive these foods the same, which is why most of us have difficulty eating or can only eat small portions of bitter, sour, or hot foods. When many people get cravings for sweet or salty snacks, we are typically satisfied by the taste of the food. But the original craving came from our body needing sodium or sugar, even though we were satisfied by the taste. That is because our brain, body, and tastebuds truly work together to understand what the body needs and satisfy it. While all of our senses have jobs that help us to interpret the outside world, it is typically just assumed that smell is mostly used in the identification of food, trash, and places. However, studies have shown that the sense of smell can interpret feelings as well as identify people. Every human has a distinct odor, much like fingerprints. This is why working K-9s are able to track people for far distances. A person's sweat is also linked to their emotions, and the smell of the person's sweat based on that emotion can cause another person to also feel that emotion. This is actually an unconscious reaction, and most humans do not realize that the emotion change is coming from the smell we pick up from another person.